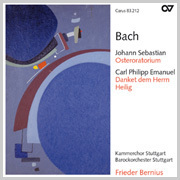 Critical new edition 2004, edited by Ulrich Leisinger: Carus 31.249; old edition, edited by Dieter Hellmann: Carus 31.249/50. 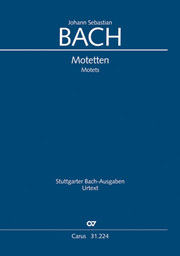 Parody of the secula cantata "Entfliehet, verschwindet, entweichet, ihr Sorgen" BWV 249a. 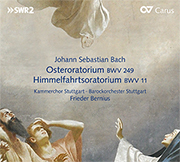 Like the Ascension Oratorio BWV 11, Johann Sebastian Bach’s Easter Oratorio BWV 249 is entirely and unjustly overshadowed by his two great Passion settings and the Christmas Oratorio. It was given its first hearing on 1 April 1725. 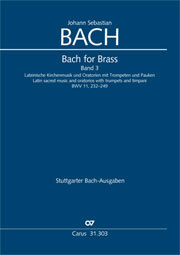 Thereafter Bach performed the work for his Leipzig congregations on at least three Easter Sundays, touching up the composition each time. 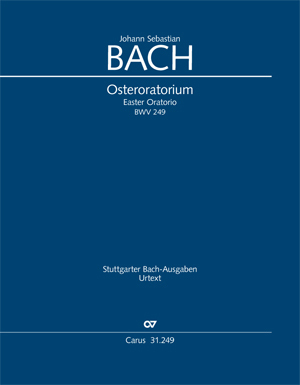 Our new edition is the first to reproduce the musical text of the fair autographe score dating from the late 1730s – the text that Bach regarded as the repertoire version.